Coming from Puerto Montt: >Turn off at the exit "Puerto Varas/ Sur" >Follow the signs "Puerto Varas - Centro" >Drive on until arriving at crossing Del Salvador Street (traffic light). >You are in the San Francisco Street. 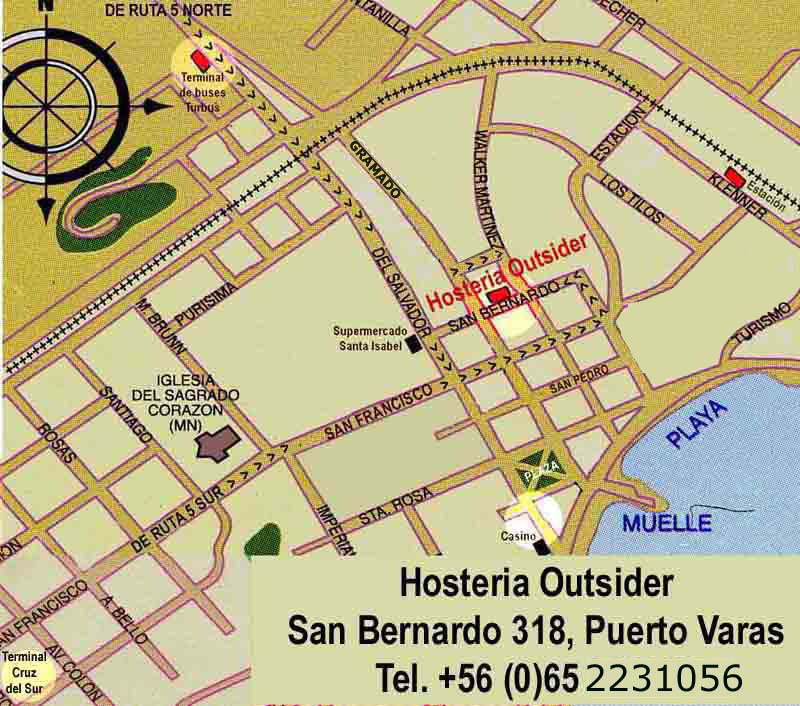 Hosteria Outsider in Google Streetview. Click here to see more!